Pick and Place machines are one of the double-edged swords of electronics.They build your boards fast, but if you don’t have everything setup perfectly, they’ll quickly make a mess. A pick and place can’t grab a resistor from a pile and place it – so far only humans can pull that one off. They need parts organized and oriented in reels or trays. [Parker Dillmann] had to load some parts, but didn’t have a tray for them, so he 3D printed his own. [Parker] works at a small assembly house in Texas. 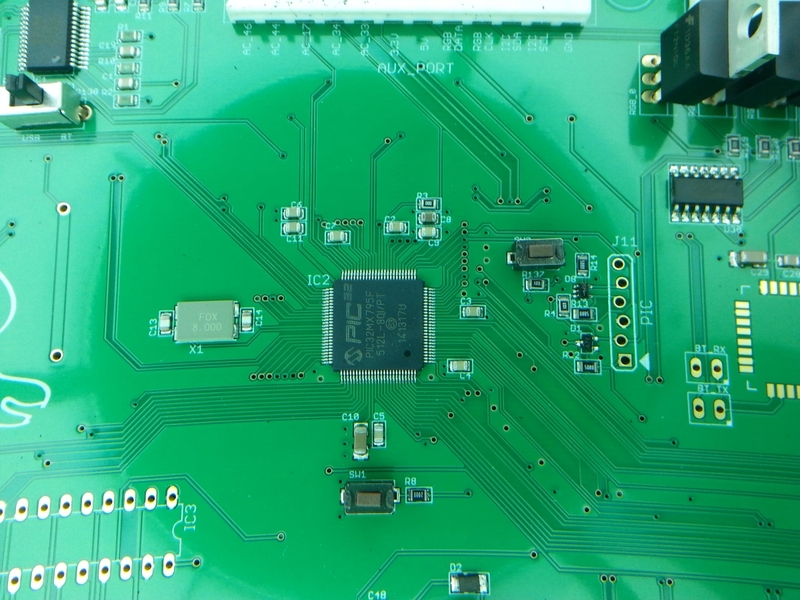 He’s working on a top secret design which includes FFC connectors. Unfortunately, the connectors shipped in pick and place unfriendly tubes rather than reels. If he couldn’t find a tray, [Parker] would have to hand place those connectors as a second operation, which would increase the time to build each board and leave more chances for mistakes. Rather than place each part by hand, [Parker] got in touch with his friend [Chris Kraft] who is something of a 3D printing guru. [Chris] confirmed that a 3D printed tray would be possible, though the PLA he prints with was not static safe. That was fine for the connectors, but [Parker] was hoping to save some tray space by putting his PSOC4 chips in the printed tray as well. [Parker] used SketchUp to design a tray that would fit his Madell DP2006-2 pick and place. He left .15mm clearance around the parts – just enough to cover any inaccuracies during printing, but not enough to throw off parts placement. He sent the STL file over to [Chris] who used Simplify3D to a create a Gcode file. [Chris] printed the tray at .2 mm layer height on his MakerGear M2 printer, and the results looked great. Would they be good enough for the pick and place machine? [Parker] received the printed trays in the mail and loaded them with parts. The pick and place had no problem finding and placing the connectors, making this job a huge success. [Parker] even left room for the PSOC4 chips.He plans to paint the tray with anti-static paint before giving them at try. We really like this story – it’s a perfect example of how 3D printers can speed up processes in manufacturing. Now that the basic design is done, creating new trays is a snap. Nice work [Parker] and [Chris]! I thought of this too, conductive ABS plus acetone smoothing (to reduce parts catching on the layers). Using conductive filament is in the plans. We just didn’t want to talk about it until we had some tangible results to show. He’s using the same Madell SMT machine that we are using! Yeah, we have one too. The software and instructions leave much to be desired, but the support is pretty good. Doesn’t hurt that it costs 1/3 of competing solutions, too. Per job trays are something that might actually be preferable to print instead of build/buy. Not bad at all but the reel-holders these types of parts come in would be far better suited. For the 3d printed parts I’d worry about possible snagging on the layering bumpyness but know this can be kept pretty minimal. Reading through It says ‘pick and place unfriendly tubes’ but isn’t that what those vibrating tables are made for that force to parts to jiggle down to the end of the tube into a somewhat pre-set location? That in conjunction with the vision system would be more than enough for that to be feasible, that and it should be usable for all sorts of other tube-fed parts afterwards. OTOH I’m sure a jig like this will likely fit the bill for other sorts of parts in the future, but as a one-off is seems a bit wasteful. A vibe table is actually an option from Madell for the machine he’s using. Yes Madell sells a tube vibration feeder. However it costs magnitudes more then how much the tray cost for me to get. Well naturally! But I wasn’t suggest you go out and buy one, just another project suggestion. Yeah, to put it in context that jig is probably around $4 to print. At the speed that machine is moving I’m not convinced a human isn’t faster. It can go much faster. The speeds are all configurable. We leave ours running at a slow speed, too, just because there’s no reason to go faster. Would a human be faster? Yeah, but a human costs way more than $13K. A machine doesn’t need vacations or overtime salary. It’s even more simple than salary or vacation. In a small shop like ours, we do everything, so any SMT hand assembly is usually done by me. And if I’m hand assembling products I’m not designing new stuff! Investing in my machine helps keep my work-schedule under 80 hours / week. The plastic tape the chips comes in is already anti-static, spaced and have the right tolerances. If you are really 3D printing one, may be something that is set up for the tape instead of the chip and optionally uses those sprocket holes for alignment. Cut tape would require buying another feeder if he did not have one in stock. Both parts shown come in tubes. PSoC4 comes in a Tube. There are faster PNP machines out there, there are more accurate PNP machines out there, but there is nothing on the market that delivers the value for your money that one of Madell’s DP2006-2 Pick And Place machine delivers. Mine cost around 13K. We have been building our stir plate controller boards on a MadellTech DP2006-2 Surface Mount machine for over a year now and I am still very happy with the machine. Going to surface mounted components has improved the quality of our stir plates by eliminating hand loading and hand soldering parts. But the Madelltech DP2006-2 Surface Mount machine is far from perfect! If you are considering a small counter top pick and place machine you need to consider one of these, just remember that these are not high volume or highly accurate machines. The syringe based solder paste dispenser does work, it does get the paste on the board & in the right places, but because it uses air pressure the volume is all over the map.It’s still better than hand applying solder paste with a syringe. If our stir plates were not continuously evolving we would have moved on to a stencil printer by now, but I believe in continuous improvement and the layout has changed every 500 boards. Placement accuracy is great but parts pickup is a problem. Often the camera sees an empty pocket as a part. Plus the software rejects a lot of parts. The placement rate is about 60% for chip caps and resistors but at $47.00 / 5000 resistors who cares? Even with these issues it’s a great machine – where else are you going to find a SMT pick and place machine with full vision that also dispenses its own solder paste for less than $15,000? If you do decide to buy DP2006-2 Surface Mount machine just make sure to scale your expectations to what the machine is..You would not buy a VW Bug and expect it to perform like a Corvette! Honestly I quit improving the placements once I got to 60%. The chip caps and resistors cost less than $0.01 each in volume and I don’t care about the $0.07 per board in loss. I’ll look the version when I get to the shop today. What size parts are you placing and what vision system are you using? We are placing 0603 as the smallest. It is not the part cost that bites but the loss in time on the machine. LEDs are kinda pricy as well. It uses the older vision system with the capture card in the PC. I think the newer ones are USB based. I’m placing 0805. Your experience with 0603 parts has given me the motivation to find out why we miss-pick so many and I’ll look the next time we slow down. The vision system is working fine, it’s the actual parts picks that are missing the parts. As far as machine cycle time goes, I just start the machine then do something else in the shop. This way I don’t care how long the machine itself takes to place the parts. But I order the stir plate controller boards on 40-up panels. A 3 panel run builds enough for a month’s stir plate production. We have the dispenser as well….it is much to leave desired. Does not work very well with small pitch parts.$150 for a frameless stainless stencil makes the job so much faster. Check out the PIC-32 we put on the Pinheck board. http://longhornengineer.com/wp-content/uploads/XdsbpZY.jpg TQ-100 package 0.4mm pitch. That’s a great placement. Did the part place where it sits or did solder surface tension pull it into place? It placed where it sits. I have noticed solder surface tension doesn’t really work with large packages like the TQ-100. Then that’s excellent placement. We aren’t placing any fine pitch with our machine yet and I wanted to know from someone actually doing it. I just went through your website – nice site!!!. But what’s a OctoPROBER? We manufacture & sell temperature controllers, mash tun controllers and home brewery controllers as well as stir plates. I’d post a link here but I don’t want to look too spammy, so let me know if you might be interested in taking a look and then I’ll post a link. Never mind, I looked it up – it’s a 8 channel temperature logger! I’ve got a Manncorp MC-400 PnP. I laser-cut trays out of two pieces of acrylic; one forms the pockets, and the other forms the base. Then I glue them together. Takes < 30 minutes from design to cut to use. Sometimes I will cut slots instead of pockets. Good idea Bob. We have a CNC here at the shop but I did not have a bit small enough to make the tight inside corners I wanted.